73305 Motormax - Porsche Carrera GT Convertible. 1:24 scale diecast collectible model car. 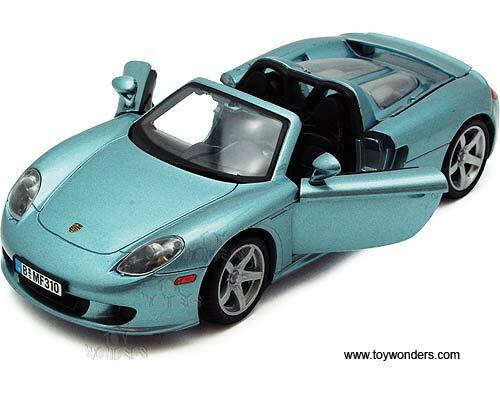 This Porsche Carrera GT is a 7.25"L x 3"W x 2"H diecast metal car with free wheeling and steerable front wheels. Openable doors and trunk. Individually packed in a window box. 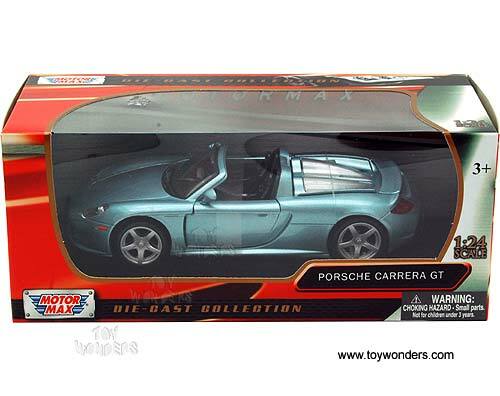 Window Box measures 9.75"L x 4.5"W x 4"H. This Porsche Carrera GT is manufactured by Motor Max. 73305 is in DARK SILVER color.